Expertly designed by one of the areaâs most reputable builders; this breathtaking Country Woods Estate resides on a quiet cul-de-sac within a great neighborhood that offers a true sense of community. 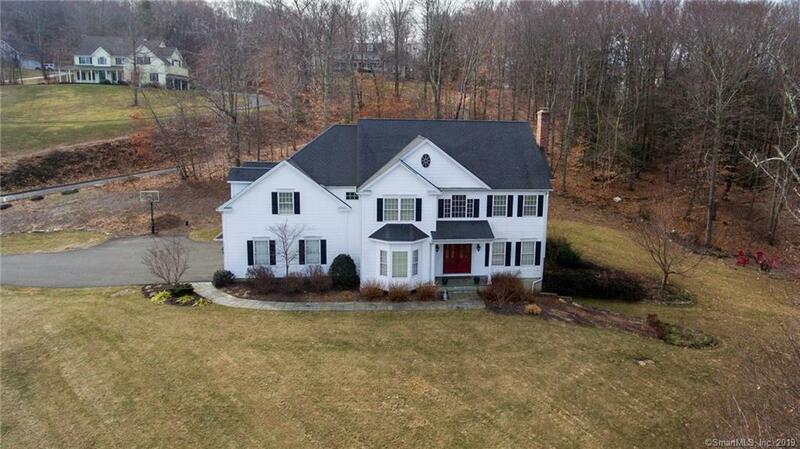 This custom Colonial boasts over 4,000 sq/ft of living space with 4 bedrooms, 4.5 bathrooms, a 3 car garage, and a fully finished lower level with walk out. Upon entry into the grand foyer you will notice the keen attention to detail from the dual staircases with iron balusters to custom wood blinds throughout the entire house. The gourmet kitchen features high end cabinetry, stainless steel appliances, granite counters, center island, and a beautiful butlerâs pantry leading to the formal dining room. The light and bright family room flows effortlessly from the kitchen for all-inclusive entertaining. Upstairs we find a magnificent master suite with hardwood floor, a walk-in closet, gas fireplace, and spa like bathroom. There are 3 additional generously sized bedrooms, 2 well-appointed full bathrooms, a separate laundry room and an expansive bonus room. The lower level has an extra room perfect for in law, au pair or private guest room, a full bath and lots of open space to be used as a game room, additional entertaining space, or storage. Outside we find professionally manicured grounds, composite deck, exterior speakers, and a level side yard with enough space to add a pool or host neighborhood and family parties! This is a great home for entertaining both indoors and out!